This being the March issue of Tucson Happenings, I was all set to discuss all things green. Not in the sense of recycle/reuse, since I’d written on that recently, but in the sense of the actual color green and its popularity in everything from clothing to carpets. I’d experienced the increased use of the color myself, so I felt confident I could come up with a column. I remember being in a department store right here in Tucson, where I’d found a really fabulous silk shirt in a green that made me look positively bilious. I asked the salesperson to bring me the same shirt in another color...and she said it was only in that noxious green. Undaunted, I perused the racks for a while, and came to realize that suddenly, green seemed to be everywhere. Slacks, bathing suits, jackets ­­ everything seemed either olive green or a deeper khaki green, and there were lots of paler greens to go with it all. When an interior designer visited my parents’ home, she suggested that using, “the organic greens” would bring the outside in. My Dad explained that the outside could stay right where it was: outside. Visiting with the rest of the family, I noticed that just about every one of my younger nieces and nephews was wearing some version of green. While there was something pleasing to me about the unisex quality of that, I still found myself somewhat surprised. I could recall bright kelly greens in my kids’ wardrobes back in the day, but not much else. When a sister­in­law said she was changing her guest bedroom’s colors,”because all the sheets I’ve been pining for seem to be green,” I realized it had seeped into home decor too. That sent me to the Internet, where I did a bit of color research. Blue, it turns out, is the hands­down favorite color for most people in America. But green had eclipsed it as people opted for exactly what that designer suggested to my father ­­ bringing the outside in, and giving a room a more serene and organic vibe. What a particular color ‘says’ to you is part of the world of color therapy. 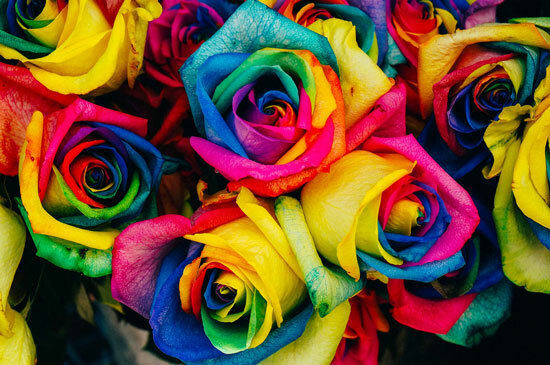 There have been interesting experiments to determine what color preferences mean, and there are even companies that will help you choose your next career based on what colors you like! Author Faber Birren has two dozen books out on the subject, and he’s not the only writer in the field! Yet I visited several kitchen and bath shows over the past 12 months, and there was no green in sight. In fact, the overwhelmingly popular color for walls, cabinets, tile and more seems to be gray. Looking at the available research, I learned that people who prefer gray tend to be middle­of­the­road types, who willingly compromise and tend towards the conservative. Certainly, gray appears to be entering the mainstream right now; the question is, will it stay there? Pantone researches everything that’s going on in fashion and industry and comes out with a ‘color of the year’ annually. Generally speaking, they have been right on target, whether it was merlot or turquoise (each of which had a year...look in the back of your closet). This year, for the very first time, Pantone chose not one but two colors: Rose quartz, which is a pale pink, and Serenity, a pale blue. Most of us immediately thought of babies, but these colors don’t look infantile. Either one would make a fantastic bespoke men’s shirt...or a glorious brocade suit for a lady. Gender beliefs and sexism being what they are, my guess is we’ll see a lot of men in Serenity...and damn few in Rose Quartz. Discussions of this nature have bounced around since Pantone’s announcement, and there’s a charming picture of a toddler­aged Teddy Roosevelt in an adorable pink dress making the rounds on the blogs. I don’t know any mothers who would feel comfortable going that route with their sons, but fashion is certainly fickle, and stranger things have happened! Color is also cultural, and the colors you favor will reflect that whether you realize it or not. Feng shui practitioners use color to harmonize spaces, and so do Scandinavian restaurant architects. And speaking of restaurants, have you noticed that fast food places tend to be red or orange inside, while fine dining establishments aren’t? Color matters. As for me, I didn’t jump on green, my kitchen isn’t gray, and I don’t feel a hankering for either Serenity or Rose Quartz. I’m going to put on a pair of black slacks and a white shirt and go shopping for more of the same.